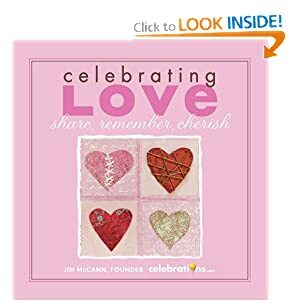 It’s a sweet gift book with lots of quotes and anecdotes all about love. They’re also running a contest that ends at midnight tonight . . . just go to their site and leave a story of 50 words or less telling a story about love in your life. If your story gets the most votes, you’ll win your own FREE flower arrangement from 1-800-Flowers. Another reason to support 1-800-Flowers is their recent pledge to use fair trade flowers!! !